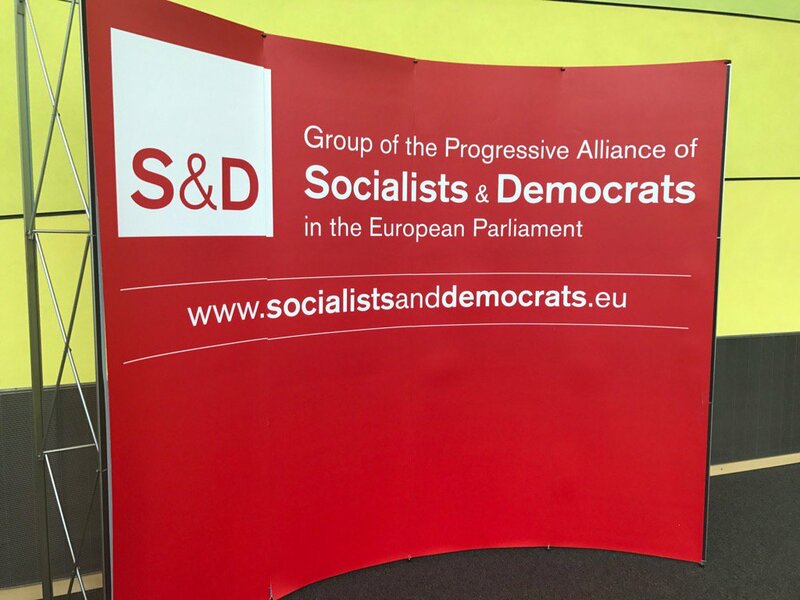 Socialists in the European Parliament have been at the forefront in calling for the release of Ukrainian political prisoner Oleg Sentsov. The award winning filmmaker is serving a 20-year sentence in Russia for fabricated ‘terrorism’ charges and has been on hunger strike since May 14, demanding the release of all Ukrainian political prisoners in Russia. The motion was also supported by representatives of the European Free Alliance Greens (Verts/ALE): Rebecca Harms, Green Party, Germany; Heidi Hautala Green League; Finland. The motion notes that Oleg Sentsov, ‘who opposed the illegal annexation of the Crimean Peninsula by Russia, was arrested in May 2014 in connection with alleged activities conducted in Crimea; whereas he was treated as Russian citizen despite holding Ukrainian citizenship’, and there have been serious allegations of torture and severe mistreatment leading to his prosecution following a show trial in Russia. The motion supported by the European Socialists and demands ‘ that the Russian authorities immediately and unconditionally release Oleg Sentsov and all other illegally detained Ukrainian citizens in Russia and on the Crimean peninsula’ They also deplore ‘the fact that another convict in the case, Oleksandr Kolchenko, has been sentenced to ten years in prison’. Kolchenko is a left-wing and anti-fascist activist who along with Sentsov protested against Russian imperialism in its occupation of the Ukrainian peninsula of Crimea. Shamefully a red-brown alliance of ultra-conservatives, fascists and Stalinists voted against the motion in the European Parliament. Out of 627 Members of the European Parliament (MEPs), 485 voted for the resolution, 76 voted against, and 66 abstained. The list of shame includes MEP’s from the Front-national (France), Die Linke (Germany), Golden Dawn, Communist Party and Syriza (Greece), Lega Nord (Italy) and UKiP MEP’s Janice Atkinson, James Carver and Steven Woolfe all backed Putin. The MEP’s of the Jeremy Corbyn led Labour Party which is part of the Socialists and Social Democrats groups backed the motion demanding release of Sentsov. Instructs its President to forward this resolution to the Vice-President of the Commission/High Representative of the Union for Foreign Affairs and Security Policy, the Council, the Commission, the governments and parliaments of the Member States, the Council of Europe, the Organisation for Security and Cooperation in Europe and the President, Government and Parliament of the Russian Federation. The non-exhaustive list includes: Teimur Abdullaiev, Uzeir Abdullaiev, Taliat Abdurakhmanov, Rustem Abiltarov, Zevri Abseitov, Muslim Aliiev, Refat Alimov, Kiazim Ametov, Ernes Ametov, Ali Asanov, Marlen Asanov, Volodymyr Balukh, Ali Bariev, Enver Bekirov, Memet Belialov, Oleksii Bessarabov, Rustem Vaitov, Resul Velilyaev, Valentyn Vygovskii, Pavlo Hryb, Mykola Dadeu, Konstatin Davydenko, Bekir Dehermendzhi, Mustafa Dehermendzhi, Emil Dzhemadenov, Arsen Dzhepparov, Dmitrii Dolgopolov, Volodymyr Dudka, Andriy Zakhtei, Ruslan Zeitullaiev, Server Zekiriaiev, Timur Ibragimov, Rustem Ismailov, Yevgenii Karakashev, Mykola Karpiuk, Stanislav Klykh, Andriy Kolomiiets, Oleksandr Kolchenko, Oleksandr Kostenko, Emir-Usein Kuku, Hennadii Limeshko, Serhii Litvinov, Enver Mamutov, Nariman Memedeminov, Remzi Memetov, Emil Minasov, Igor Movenko, Seiran Muradosilov, Seiran Mustafaiev, Server Mustafaiev, Yevhen Panov, Nuri Primov, Volodymyr Prisich, Ismail Ramazanov, Fevzi Sagandzhi, Ferat Saifullaiev, Aider Saledinov, Seiran Saliiev, Enver Seitosmanov, Oleg Sentsov, Oleksii Sizonovich, Vadym Siruk, Edem Smailov, Oleksandr Steshenko, Oleksii Stohniy, Renat Suleimanov, Anna Sukhonosova, Roman Sushchenko, Roman Ternovsky, Ruslan Ametov, Asan Chapukh, Oleksii Chirnii, Hlib Shablii, Mykola Shiptur, Dmytro Shtyblikov, Oleksandr Shumkov, Viktor Shur.